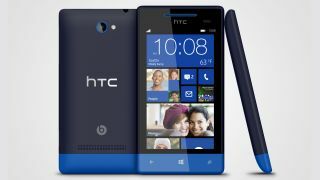 Microsoft has hit pause on delivering Windows Phone 8.1 Update 1 to HTC phones, the company confirmed in a statement to TechRadar. "We have paused delivery of Windows Phone 8.1 Update to customers with the HTC 8X and HTC 8S who are using the Preview for Developers," a Microsoft spokesperson said in a statement. "Microsoft and HTC have identified an issue and are actively working to fix it, and will resume delivery of the update once a fix is in place." The update, which is still in beta and technically only for developers (though you can get it, too), started rolling out August 4. However, it quickly became apparent HTC Windows Phone owners were running into download snags. What's keeping the handsets from installing the latest update? HTC told us it had no information to share, but WP Central discovered the handsets need a driver update sent down from ... HTC. Seems Microsoft and HTC are working to deliver the necessary driver update, so let us know when you can install the Windows Phone 8.1 Update on your 8X or 8S. Of course, let us know if you can't, too. Cat fight! Cortana takes on Siri and Google now.